Tēnā koutou, nau mai, haere mai! Design has a major influence in how culture, society and perceptions are shaped and defined. Globally, there is a hunger for authentic brands, experiences and connection with people and community. This has created an increased desire to authentically engage with and share Māori culture, narratives and forms of expression. 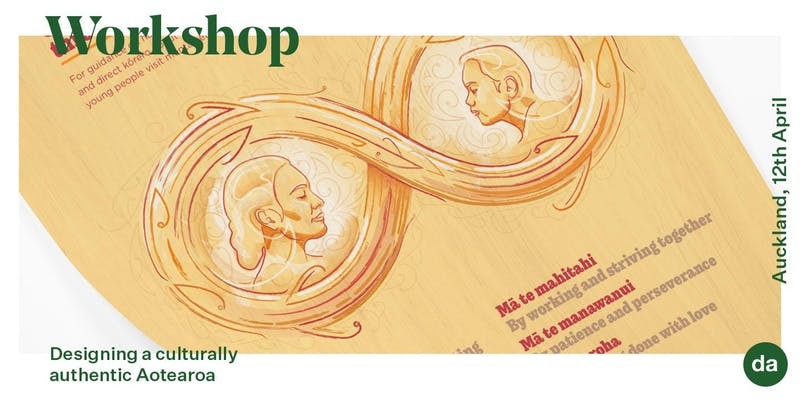 This workshop is to define how the creative community can design a culturally authentic Aotearoa. It will help anyone who would like to explore and understand Māori design, in a supportive and accepting environment. Presented by Johnson McKay (Ngāti Kahungunu, Tainui Waikato, Ngāti Porou), Ngā Aho Best Award recipient from the Designers Institute and NgāTohu Reo award recipient from the Māori Language Commission, his body of work and passion make this workshop a not to be missed experience. We review a broad spectrum of historical and contemporary case studies of Māori design to define the principlesof Māori art forms and how we can apply these to contemporary applications. Of importance is what is traditional vs modern, authentic vs inauthentic Māori design. Gain a deeper understanding of key aspects of Tikanga Māori and how they assist at protecting and elevating Māori design in a variety of contexts. What are appropriate design narratives and how do you add to the body of amazing work being produced withoutplagiarising or offending. We discuss different kinds of partnership modelswith Iwi Māori and Māori artists identify which model is appropriate for their aspirations to incorporate Māori concepts into their brand or product. Several barriers are also reviewed and solutions proposed.